Jan. 8, 2019, 11:39 p.m.
Now is the perfect time for investors and first home buyers to enter postcodes 2259 and 2261 property market, as it is expected to have significant growth due to the $116.1M worth of projects planned for the 2nd half of 2018. This complements the increasing population and great housing demand in the area. Jan. 8, 2019, 11:28 p.m. The property market of postcodes 2264 and 2265 has strengthened over the past 12 months to Q3 2018, by 6.4% to $593,000 for houses and by 8.2% to $397,500. The Lake Macquarie Local Government Area (LGA) recorded a median house price of $570,000 and median unit price of $450,000, which is representative of an annual (Q3 2017-Q3 2018) 1.0% strengthening in median house prices and a stable unit market. Compared to the Lake Macquarie City Council (LGA) the house market in postcodes 2264 and 2265 are a premium market, from both entry price and capital growth perspectives. The unit market is more affordable, yet with higher capital growth. Jan. 8, 2019, 11:19 p.m. In Q3 2018, the median house price in Liverpool was $785,000 and the median unit price was $520,000. This represented an annual (Q3 2017 – Q3 2018) price change of -1.9% and -3.3% respectively. 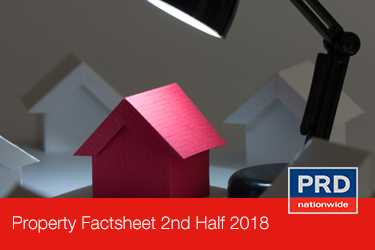 Compared to the Liverpool 1st half 2018 Research Factsheet, which reported an annual (Q1 2017 – Q1 2018) price change of -2.5% (house) and -1.9% (units), units in Liverpool have become more affordable whilst houses have slightly strengthened. Jan. 8, 2019, 11:16 p.m. The Newcastle metropolitan area is the second most populated area in New South Wales (NSW), located 162kms north-east of Sydney. According to ABS Census 2016, 35.5% of private dwellings in Newcastle are rented, higher than the NSW average of 31.8% and Australia average of 30.9%. This is good news for investors looking to enter the market. Jan. 8, 2019, 6:43 a.m.
Bribie Island recorded a median house price of $470,000 and $375,000 for units in Q3 2018. These figures represented an annual (Q3 2017-Q3 2018) price softening of -1.0% for house and a strengthening of 7.0% for units. Compared to the Bribie Island 1st half 2018 Research Factsheet, which reported an annual (Q1 2017 – Q1 2018) median price change of 3.9% (house) and 0.0% (units), houses in Bribie Island have become more affordable whilst the unit market have strengthened. Jan. 8, 2019, 6:35 a.m. Located 17km south of the Sydney CBD, Beverly Hills is a mainly residential suburb. According to ABS Census 2016 27.5% of occupied private dwellings in Beverly Hills are rented, an increase from 23.9% in 2011. This is good news for investors wanting to enter the rental market. Jan. 8, 2019, 6:21 a.m. The Buninyong house market recorded a median price of $445,000 in Q3 2018, which represented a -5.3% change over the past 12 months. Vacant land recorded a similar median price change of -6.1% in the same period (Q3 2017-Q3 2018), with a median land price of $231,000. In comparison with the annual growth (for Q1 2017 – Q1 2018) of 19.2% for houses and 40.3% for land reported in the Buninyong 1st Half 2018 Research Factsheet, properties in Buninyong has recently become more affordable. Jan. 8, 2019, 6:11 a.m. The property market of Bundaberg and Bargara, especially that of postcode 4670, recorded a median house price of $285,000 and $215,000 for units in Q3 2018. This represented an annual (Q3 2017-Q3 2018) price softening of -7.0% and -16.0% respectively. Compared to Bundaberg and Bargara1st half 2018 Research Factsheet, which reported an annual (Q1 2017 – Q1 2018) median price softening of -8.0% (house) and 4.0% (units), house annual capital growth has slightly improved whereas units have become more affordable. Jan. 8, 2019, 5:54 a.m.
Mackay recorded a median house price of $300,000 and $195,000 for units in Q3 2018. This represented an annual (Q3 2017-Q3 2018) price change of 1.7% and a softening of -4.9% respectively. Compared to Mackay 1st half 2018 Research Factsheet, which reported an annual (Q1 2017 – Q1 2018) median price change of 5.6% (house) and -1.7% (units), properties in Mackay have become more affordable. This indicates that now is a great opportunity for first home buyers to enter the market.